Our Team - Capitol Advisors Group, LLC. Former State Superintendent Jack O'Connell brings decades of public service and expertise to Capitol Advisors Group. During his two terms as State Superintendent of Public Instruction and twenty years as both a state Senator and Assembly Member, O’Connell focused on closing the achievement gap and preparing students for a rapidly changing global economy by holding high standards for all students. He remains a strong supporter and facilitator of partnerships between schools, businesses, communities, and philanthropies in order to engage all students with challenging, real-world education experiences. Prior to becoming a founding Partner of Capitol Advisors Group, Jack served as the Chief Education Officer at School Innovations & Advocacy. He earned his Bachelor of Arts degree from California State University, Fullerton and a secondary teaching credential from California State University, Long Beach. As a former high school teacher and author of the legislation creating the California High School Exit Exam, he led a comprehensive effort to increase rigor and improve student achievement in California high schools. ​Lee Angela has served as the Senior Legislative Advocate since the firm was founded in 2012, after spending 23 years in the State Capitol working on K-12 education issues. Previously, Ms. Reid served as a consultant on state and federal education issues in the Senate Office of Research, providing analysis and advice to legislators and legislative staff on K-12 education policy issues and trends. Lee Angela also acted as a key liaison between legislators, the State Board of Education, California Department of Education, universities, and think tanks. In this role, she has developed a reputation as one of the most prominent experts on policy, waivers, and curriculum and instruction issues pending before the State Board of Education. Additionally, in her role at the Senate Office of Research, Ms. Reid provided professional development opportunities to her legislative staff colleagues. Previously, Ms. Reid served as the K-14 education consultant to the Vice-Chair of the Senate Education Committee, Senator Bruce McPherson from 2001 to 2004. She is a graduate of UC Davis with bachelor degrees in International Relations and Spanish. In addition to serving as a founding partner of Capitol Advisors Group, Mr. Hajela has participated as lead or co-lead counsel in several of the most prominent education cases in the last decade, including the litigation and legislative settlement of Williams v. State of California and the pending Robles-Wong v. State of California school finance case. He has extensive experience and expertise in the intersection of education law, policy and politics, and has previously worked as a litigation attorney, a legislative advocate and as a director of a school finance research project funded by the Hewlett Foundation. Abe also served as Chief Counsel for School Innovations & Advocacy. Mr. Hajela has served as General Counsel for the California School Boards Association, Legal Counsel for the San Francisco Unified School District, and as a litigation attorney for the Sacramento firm of Olson, Hagel and Fishburn. He earned his juris doctorate in 1994 at Hastings College of the Law in San Francisco after graduating from U.C. San Diego with degrees in History and Political Science. Gerry Shelton is a founding Partner of Capitol Advisors Group. Previously, Gerry was the Chief Consultant to the California State Assembly Committee on Education from 2006 to 2011. In that capacity, he advised the Legislature on K-12 education issues, including assessment and accountability, curriculum, facilities, career technical education, special education, teacher preparation and school finance. He most recently served as the Vice President of Education Policy at School Innovations & Advocacy. Born in the San Francisco Bay Area, Mr. Shelton completed his undergraduate and graduate education in the University of California system, served as an instructor at U.C. Davis for four years, and was a professor at C.S.U. Sacramento for fourteen years – all in economics with a specialization in state and local government finance and public policy. He also worked in the Department of Education from the early 1990's until 2006 in both program and fiscal capacities, including serving as the Department’s Chief Financial Officer, where he and his staff represented the Department during the development of the state budget and in a number of areas related to fiscal policy and education finance. Barrett Snider has spent nearly two decades working in California politics and is a founding partner of Capitol Advisors Group, where he manages the daily government relations operations of the firm. His diverse experience in both legislative advocacy and political campaigns provides clients with valuable industry expertise and strategic political consulting. Immediately prior to the founding of Capitol Advisors Group, Barrett ran the operations of California’s then-largest K-12 government relations firm in Sacramento. He also served as a Legislative Advocate in the firm of Peter Birdsall & Associates. Mr. Snider has also worked on a number of legislative and statewide political campaigns under political consultant Gale Kaufman. He was a consultant and spokesperson for the Yes on Prop 1D campaign - the $10.4 billion statewide school facilities bond passed by voters in November 2006. Mr. Snider has also served on the Board of Directors of the California Restaurant Association Education Foundation. He began his career as an intern in the office of United States Senator Barbara Boxer. He is a graduate of the University of California, Davis, with degrees in Political Science and Communication. A longtime advocate in Sacramento, Susan Stuart has been active in the political arena for over 25 years. Prior to becoming a founding Partner of Capitol Advisors Group, Susan was the president and owner of Stuart & Associates, a successful advocacy firm specializing in school facilities and education policy issues. Prior to lobbying and consulting, Ms. Stuart was Chief of Staff and Senior Education Consultant in the legislature, staffing an Assembly Member on numerous education committees including the State Allocation Board, the Assembly Budget Subcommittee on Education and Assembly Education Committee. Ms. Stuart was staff to the 1988 Conference Committee on School Facilities, and the Joint Committee on School Facilities. She was an educator and administrator at the school district level for over 10 years before entering the political process. She taught and supervised, among other programs, Mathematics, Career Technical Education, Continuation High School programs, Special Education, and GATE programs. Susan received a Bachelor of Science degree in Mathematics from Western Michigan University in Kalamazoo, Michigan, a Masters of Arts degree in Education from California State University, Sacramento and has completed work toward a Doctorate degree in School Administration at the University of the Pacific in Stockton. She holds teaching credentials in Secondary Mathematics, Social Science, and Special Education, and also holds a credential in School Administration. In addition to serving as a Senior Advisor and strategist at Capitol Advisors, Senator Scott is a scholar in residence at Claremont Graduate University and a consulting advisor on education policy and finance to the Los Angeles Area Chamber of Commerce. Jack served with distinction as President of two Southern California Community College Districts. He was elected to multiple terms in the California State Legislature where he served in both the Assembly and the Senate, leading the state on countless education policy and fiscal issues. He is the only state senator to have chaired both the policy and fiscal committees governing K-14 education simultaneously. During his tenure in the legislature, Jack was the strongest champion of community college issues and built a lasting reputation for his advocacy for the community colleges across the state. It was only natural that the Governor would appoint Jack to serve as the 14th Chancellor of California’s Community College system. He received a Bachelor's degree from Abilene Christian University, a Master of Divinity degree from Yale Divinity School, and a Ph.D. degree in American history from Claremont Graduate University. Derick Lennox brings nearly a decade of legislative, legal, and advocacy experience to the Capitol Advisors Group. Mr. Lennox received his juris doctor from the Georgetown University Law Center. At Georgetown Law, Mr. Lennox was a student-attorney with the Appellate Litigation Clinic, a Research Assistant at the Supreme Court Institute, and a Senior Note Editor on the Georgetown Journal of Legal Ethics. Mr. Lennox also worked at the U.S. Department of Justice Office of Legal Policy, in-chambers at the U.S. Bankruptcy Court for the Northern District of California, and a law firm in the Bay Area. Previously, Mr. Lennox spent three years in the legislature, where he was a Jesse M. Unruh Assembly Fellow and Legislative Aide in the office of Assembly Member Cameron M. Smyth. Mr. Lennox began his political career at the University of California, Davis, advocating on behalf of the associated student body and conducting research for candidate campaigns. Mr. Lennox graduated from U.C. Davis, in 2009 with bachelors’ degrees in Political Science and English. Caitlin Jung is an attorney with experience with education, civil rights, bankruptcy, and landlord-tenant law. Prior to joining Capitol Advisors, she worked on prisoner rights cases at the UC Davis Civil Rights Clinic and with the Human Rights/Fair Housing Commission at its small claims clinic. Previously, Ms. Jung served as an intern at the California Department of Education where she assisted the Communications division to address a wide array of education issues. Ms. Jung provides the Capitol Advisors team with legal research and analysis related to legislation, policy proposals and litigation impacting our clients. A Sacramento native, she holds a Juris Doctorate from University of California, Davis School of Law and a Bachelor of Arts in English Literature with a minor in Law and Society from the University of California, San Diego. Christina Marcellus has worked in political communications for several years in both the public and private sector. She most recently worked at the County Superintendents Association, where she focused on issues relating to human relations, teacher and administrator workforce, alternative education and technology. Additionally, she managed the association’s communications and member-outreach efforts. Previously, Ms. Marcellus was an associate with the political practice of the Dewey Square Group, where she worked on grassroots organization, coalition building and media messaging for several statewide campaigns in California and Florida. Prior to that, she worked for Governor Schwarzenegger’s Communications Office, providing operational support to the Communications Director and other members of the administration. Ms. Marcellus was born in raised in Los Angeles, and received her degree in Political Science from the University of California, Los Angeles. Nick Romley was most recently a Legislative Analyst with a large education advocacy firm. Mr. Romley supports the advocacy team by maintaining the legislative tracking system, analyzing bills, monitoring various committee hearings and monitoring State Board of Education and California Department of Education meetings. He also assists our statewide association clients when they meet in Sacramento. 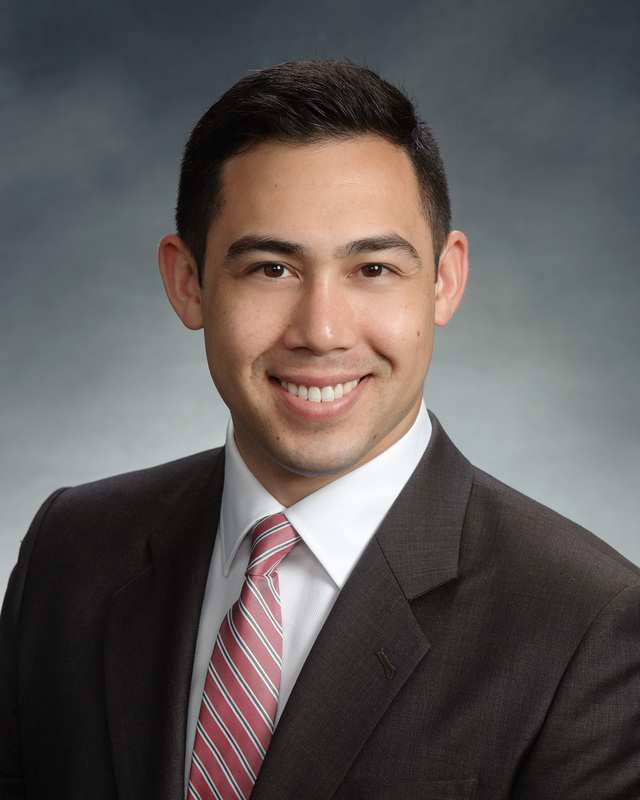 A native of California, Mr. Romley holds a Bachelor of Arts in Political Science with a minor in Philosophy from the University of California, Davis. Diana Scott is a valuable member of the facilities team, joining Capitol Advisors in 2013. Diana brings years of experience from her time at Richard Gonzalez & Associates (RGA), where she worked since 2005. She also brings her management experience and skills from her years at Hewlett-Packard. Diana conducts a thorough analysis in the preparation of annual enrollment projections and incorporating alternate projection methodologies provided under AB 1014. In addition, she supports the other members of the team in managing client needs. Kristie Rucker plays the primary role of managing daily operations within in Capitol Advisors. 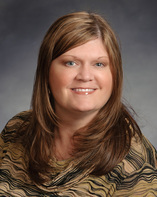 Kristie began with Capitol Advisors in July, 2012 after serving in a similar capacity with the team at a prior firm. Rachel Scicluna joined Capitol Advisors in January, 2014 as an administrative assistant. Along with the daily operations of the office, Rachel holds a Bachelors of Fine Arts degree from Laguna College of Art and Design, and brings her graphic design abilities to the team.